A woman walks the street going to work on Tuesday evening in New York, uncertain of the fate of members of her family resident in Mexico. She already hears the news of the deadly earthquake that has reportedly killed scores, but according to her, she has no information whether members of her family are safe or affected by the tragedy. "All my family members are in that place and I don't know whether they are affected or not. 44 people are reported dead," the Mexican woman resident said almost sobbing, as she rushed toward her destination to make up for the time to get to work. As the woman relates her discomfort about the earthquake in Mexico on Tuesday, information have spread about the news from Mexico and people talks and cringe in fear. News reports put the number in one state alone at 42 and 20 buildings collapsed in Mexico city, according to the New York Times. The BBC's reports says that at least 93 people have been killed and many buildings collapsed. The discrepancy in the numbers of death being announced in the media and the public is a confirmation of the earthquake in Mexico with many casualties. The real number of the dead and general loss will become clear as the government and people of Mexico put the numbers together for the world to know. Many Mexicans living in the United States and other countries outside Mexico are in the same shoes like the New York woman, who is worried about the fate of her people back home. 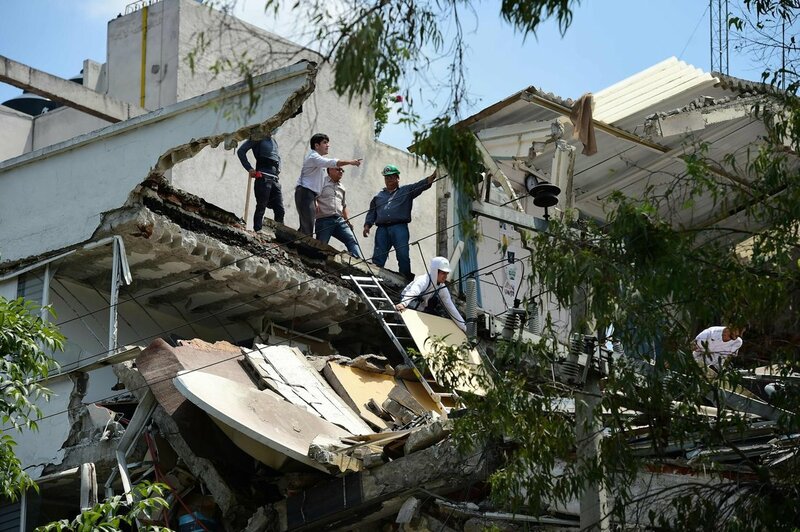 Just early this month, there was an earthquake in Mexico that reportedly killed many people. The BBc put the number of the dead from the earthquake earlier this month at 90. With earthquake, buildings seen destroyed on the earth surface can be counted, but no one can be certain of the number of people that may have been buried underground, and the real number can only be known after tough work of digging into the rubble. There are sometimes occasional discovery of miracles - about buried people excavated alive from rubble.